Have I ever said how much I love Aldi? Being a single mom on a budget, I have to shop for the lowest prices on groceries. Aldi is hands down the cheapest grocery store in my area, by far. I start with my shopping list, stop there and then whatever isn't available at Aldi, I shop for elsewhere. The majority of this recipe was made with ingredients I bought from there and we love how it turned out! I love using spinach in casseroles and I've found it goes great with tuna. This recipe with the added pesto, has tons of flavor and is ready within 30 minutes. It's also very frugal, perfect for when the budget's tight or if you're looking to save some money on meals! Enjoy! Bring a pot of water to a boil and cook the gnocchi according to package directions. Drain and transfer to a greased baking dish. Add the spinach, onion and tuna to the baking dish. Whisk together the pesto, half and half and 1/4 cup of the parmesan cheese. Stir all ingredients in the baking dish until combined. Add salt and pepper, if needed. Then mix together the remaining 1/4 cup parmesan cheese with the panko and sprinkle evenly on top. Bake for 15 minutes until golden brown and bubbly. Serve immediately. We are big gnocchi fans in our house! this looks perfect! 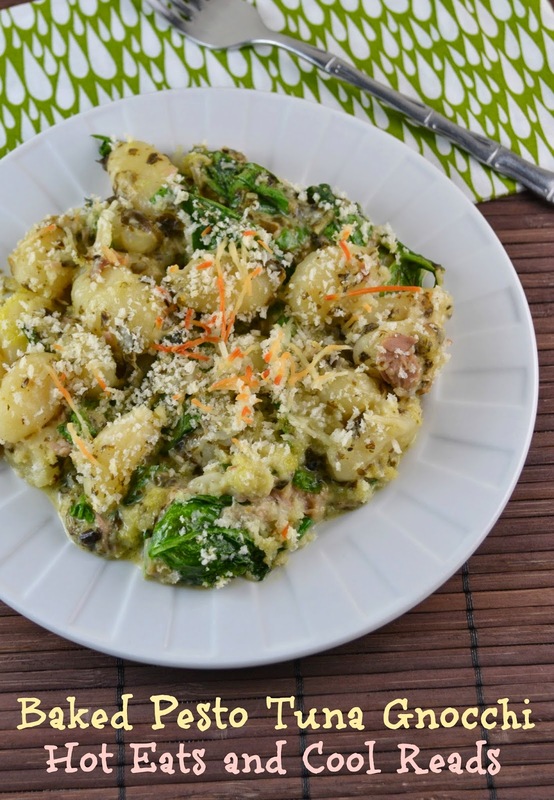 I am always wondering what to do with those packaged gnocchi and this looks great. My husband will love it! That's interesting about Aldi - I have one up the road and I've never been to it. Now I'll check it out thanks! I love this dish - this looks like a dish my family would happily eat! I've a huge fan of Aldi (and gnocchi)! I love the idea of doing this--taking an old school recipe and updating it with a twist. Sounds tasty! I'm an Aldi snob - absolutely love that place! This looks delicious, and I love that it is so budget-friendly! ALDI is THE BOMB. I do about 80% of my grocery shopping there each week. ;) You can't beat the prices, and just about everything they sell tastes as good or even better than the name brands. This is a great budget friendly dinner idea! I wish we had an ALDI. And I love frugal meals. 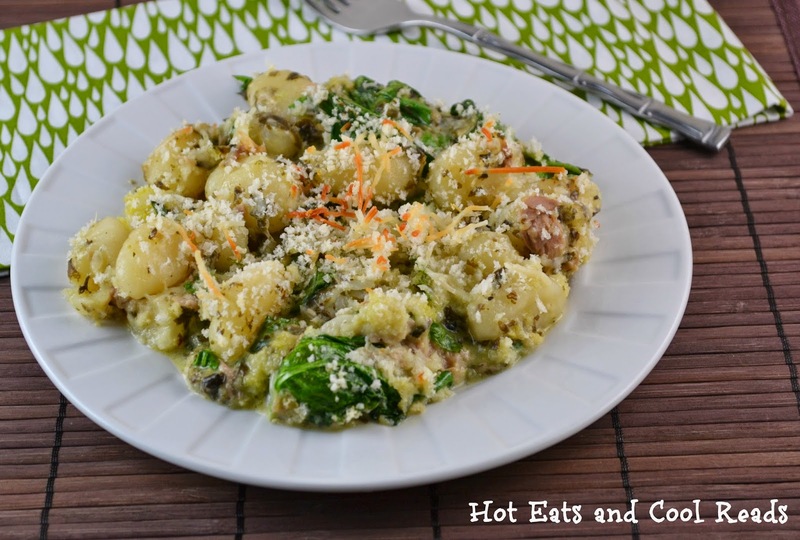 Way to add in extra veggies without compromising taste! Aldi is a little further than I normally go to shop, but maybe I should check it out! I love to save!! I'm a huge fan of all of these ingredients in this dish. It looks spectacular, and I just know the taste would go over well with my family! Thanks for sharing! I've never had Gnocchi before, but I've been seeing recipes all over the place that are using it. I'd definitely love to give it a try, I'll have to add it to my cooking 'bucket list' and make it one of these days. This recipe looks delicious! Your recipe looks delish! And I need to start shopping at ALDI! We have had one for the last couple years and I keep saying I am going to go, but I haven't yet! Thanks for sharing your recipe with us at Foodie Fridays!! Hope to see you back again Thursday night! In Europe we had Aldi and another shop like it... basically I loved that a lot of times it just got back to the individual ingredients....I did just see Aldi in the US this summer and they have great prices for decent food! And I'm a huge fan of gnocchi, pesto, AND tuna...this sounds like a winning combo!